You'll be able to capture truly gorgeous photographs with the Nikon D5 – its 20.8 megapixel FX-format CMOS sensor is paired with a 180K pixel RGB metering sensor to precisely recognise subjects and render them with incredible fidelity. Enjoy added image depth with richer, more detailed tonal gradations and take high-quality photographs in a variety of lighting conditions across the standard ISO range thanks to the EXPEED 5 image processing engine. Take advantage of huge possibilities offered by the D5's 100 to 102400 ISO range, which is extendable to ISO 3280000 equivalent using the Hi 5 setting. Shoot photos that look the way you want them to, whether it's in bright noontime sunshine, or under a starry sky. You're assured of brilliant clarity and focus throughout the standard ISO range. 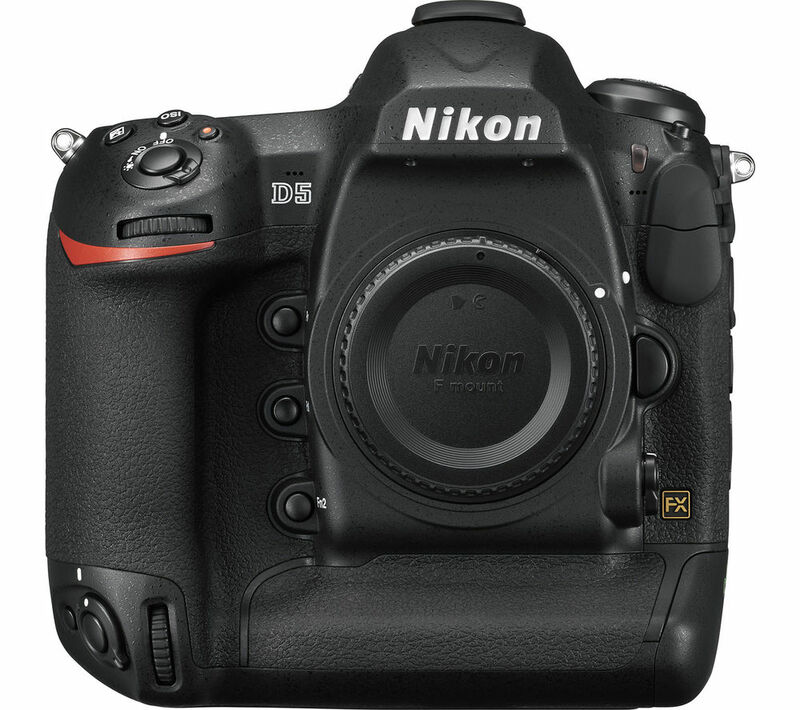 The Nikon D5 features 153 focus points and 99 cross-type sensors to enable excellent shooting accuracy across every frame. It's up to the task of low-light shooting with AF sensitivity down to -4 EV (ISO 100). It's able to easily pick up peripheral subjects, and offers enhanced vertical shooting – and the processor is able to devote full power to autofocus at all times thanks to an innovative AF ASIC unit. 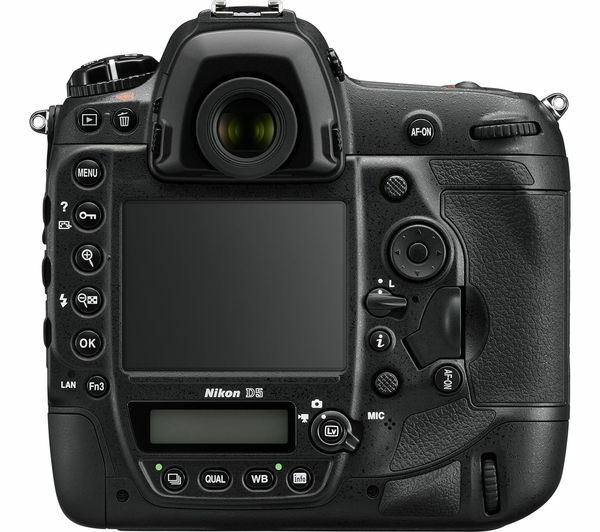 Continuous shooting mode allows you to reel off up to 12 fps with AE/AF tracking, or up to 14 fps with the mirror up. You'll enjoy smoother AF tracking and better viewfinder visibility even when you're shooting fast, irregular sequences. Now you can record events in beautiful 4k Ultra High Definition video at 30, 25 and 24 fps, allowing you to achieve a variety of different visual feels. You'll also be able to shoot in Full HD resolution at a wide range of frame rates for added sharing, playback and editing versatility. The D5 features a high-performance buffer that lets you shoot up to 200 RAW or large JPEG images in a single high-speed burst. This makes it ideal for capturing key moments in sporting events, concerts and other fast-moving sequences. 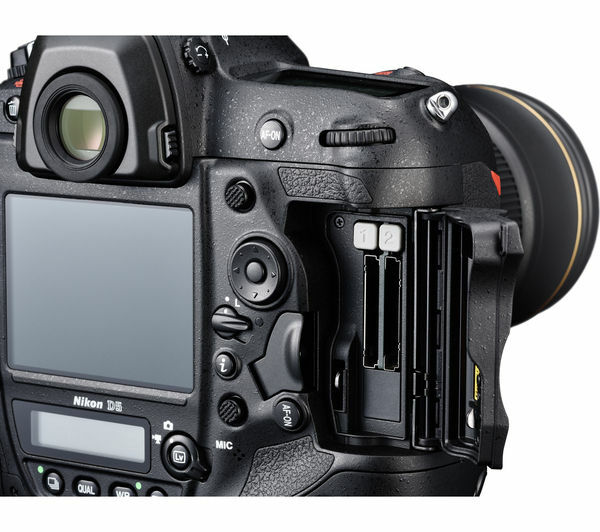 As well as high-speed shooting, your Nikon D5 features a mini USB 3.0 port for data transfer speeds up to four times faster than standard rates. Your workflow will get a boost from enhancements like Double XQD card slots, a wireless connection up to four times faster and Ethernet that works around twice as fast as standard.